Almost every night of the week of November 23, I stayed up late, my eyes puffy from sleep deprivation, my fingers darting up and down my iPhone, and my ears half-tuned to fuzzy livestreams on my laptop. It was announced on November 24 that Darren Wilson, the police officer who shot and killed Michael Brown in Ferguson, would not be indicted. I was off work that week, but getting updates on my feed and from the Breaking News app, of which I’m an editor. But each night, it seemed like coverage of Ferguson from news organizations that didn’t fully grasp the story — the fact that there was more to it than riots; the fact that the community of Ferguson had deeper issues with police long before Michael Brown’s killing — went through the same vicious cycle that ended in a conflation of key narratives. I guess I could pivot here to talk about the future of news in 2015 being about mobile and personalization. (I would geek out about both immensely.) I suppose I could opine on how the reinvention of the article structure to better accommodate complex stories like Ferguson will be on every smart media manager’s mind, just as it should have been in 2014, 2013, and 2003. But let’s have a different kind of real talk, shall we? My prediction for the future of news in 2015 is less of a prediction and more of a call of necessity. Next year, if organizations don’t start taking diversity of race, gender, background, and thought in newsrooms seriously, our industry once again will further alienate entire populations of people that aren’t white. And this time, the damage will be worse than ever. Nonetheless, looters and rioters were grouped in with peaceful protesters, and Ferguson became reality television, with bad guys fighting bad guys. With all the effort from reporters and some newsrooms to broaden the scope of Ferguson coverage, I had to wonder: Who’s making the decisions to tell just a sliver of the story? Are journalists with a different perspective in positions to challenge these decisions at the edit table? These questions quickly started sounding rhetorical in my mind, and they shouldn’t be. To amend the damage from years of systemically shutting out women, people of color, and people who identify as LGBT from newsrooms will take bold decisions, deliberate recruiting steps, and dedication. Not a hire here or there, but bold, real, actualized regime change. 2015 will be the year in which organizations that truly care about this will see their coverage thrive, while others will continue to chip away at their own credibility by tuning out the communities that drive news cycles around stories not rooted in the straight white male perspective. The excuse that it’s “too hard” to find good journalists of diverse backgrounds is complete crap. Tap into the resources from organizations like NABJ, NAHJ, AAJA, and NLGJA. Get editors to start creating pipelines for talent through workshops and programs geared to underrepresented groups. Ask your boss, your coworkers and yourself: Is my organization starting somewhere? Am I doing enough? And one last question…really think about this one, now: Am I doing anything? 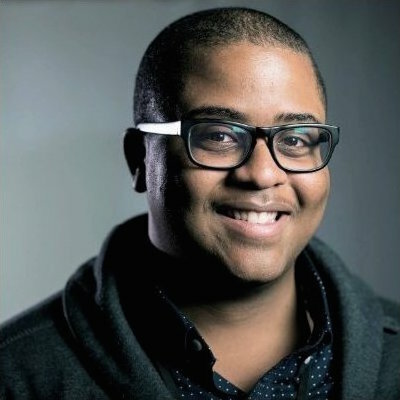 Aaron Edwards is an editor at Breaking News, a part of NBC News Digital. Dec. 15, 2014, 1:06 a.m.